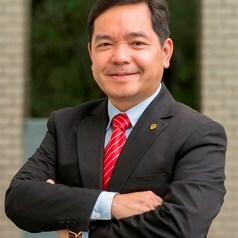 Professor Joshua Mok Ka-ho is the Vice President and concurrently Chair Professor of Comparative Policy of Lingnan University. Before joining Lingnan, he was the Vice President (Research and Development) and Chair Professor of Comparative Policy of The Hong Kong Institute of Education, and the Associate Dean and Professor of Social Policy, Faculty of Social Sciences of The University of Hong Kong. Prior to this, Professor Mok was appointed as the Founding Chair Professor in East Asian Studies and established the Centre for East Asian Studies at the University of Bristol, United Kingdom.